A haircut is a necessity (for most) and is a repeat activity which we get done periodically. I have moved to Tilburg and have found the price of a haircut to be quite high here. I paid EUR 29 which is a big amount for a student like myself. This got me thinking how a haircut should be priced and what factors determine the price. Fixed Pricing: This is what most barbers follow. The price is fixed for a haircut and differences exist based on the gender of the customer. This pricing strategy has its pros and cons. - It guarantees a fixed revenue to the barber irrespective of the hair characteristics of the customer. - The problem is that some hair is longer and denser and hence more difficult and time taking to cut. Hence the ones with such hair are subsidized by the customers with shorter hair. - Also there is no choice for the customer. It is a take it or leave it strategy for the customer. Variable Pricing: Here prices are set based on a time based rate. A price per minute can be set and based on the time taken to cut hair of a customer, the final price can be determined. A minimum final price can be set to ensure that atleast a minimum revenue is generated on every haircut. - The benefit of this strategy is that all customers pay based on the same rate and no cross subsidization takes place, as in the above case. - Also this pricing considers the value of the haircut to the customer in setting the final price. If a customer has longer hair or wants a more styled haircut which will take a longer time, he/she has to pay more. - The drawback of this strategy is that it based on trust and there can be a trust issue between the barber and the customer. 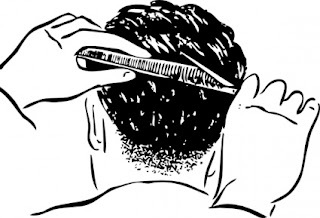 A customer may feel that the barber is deliberately taking longer than required for the haircut. - Also understanding the customer’s requirements before the actual haircut takes time. This time needs to be somehow taken into account into the pricing. This will be tricky. To summarise, a haircut pricing is also an interesting and important strategy for a barber and should be decided so as to create good value both for the barber and the customer. Brand: Big branded chain of barbers command a premium. 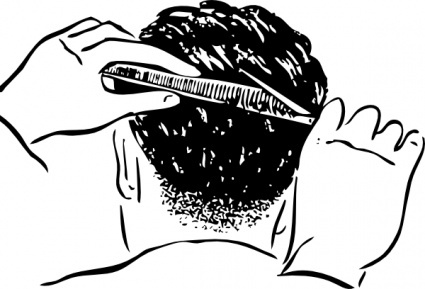 Facilities: The more facilities offered by a barber can justify a premium pricing for the outlet. Facilities can include a good waiting area, hygiene, latest equipment etc. Positioning: A focused positioning or targeting a niche can also justify a premium price for a barber. An example is my barber here in Tilburg. This is a place called De MeesterBarbier which is a men’s only barber. All facilities and designs inside are structured to please their target market, i.e. men. There are men’s magazines, musical equipment, drinks etc. which create a great customer experience and hence they can charge the high price for the haircut.